No one disputes that children like Nixzmary Brown, the seven-year-old Brooklyn girl who was starved and beaten to death in January 2006, should be removed from their dangerous homes. But there are 600,000 children in foster care in the United States, and experts estimate 40 to 70 percent of them are needlessly separated from their families, usually for reasons of benign neglect that better healthcare, education, nutrition and other basic social services could ameliorate. 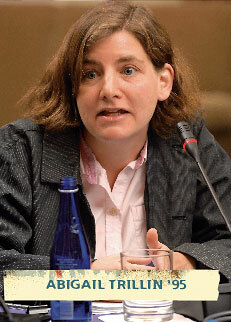 The Law School invited 10 alumni and NYU faculty who work in the area of children’s welfare to discuss these thorny issues, and particularly the position of Martin Guggenheim, author of the 2005 book, What’s Wrong with Children’s Rights, who argues that children’s lawyers are part of the problem. 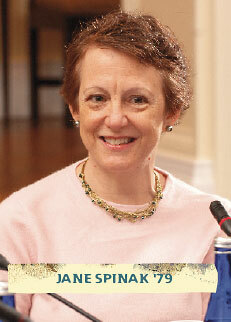 Jane Spinak ’79, Edward Ross Aranow Clinical Professor of Law, Columbia Law School. Director of the Multidisciplinary Center of Excellence in Child and Family Advocacy. Former attorney-in-charge, the Juvenile Rights Division of the Legal Aid Society: Last year when Marty’s article, “How Children’s Lawyers Serve State Interests,” was in draft form, I gave it to my students. They had been representing children for about four months at that point. Even though we had talked a lot about what it meant to be child advocates in an imperfect, imbalanced and unequal system, they were really taken up short by the piece. Part of the reason was that within a very short period of time of representing children, they could already see that they liked being heroes. They liked winning. They liked being on the right side. Many of them were doing a lot of work to have children not removed from their parents and to have them reunified. But they had never thought about themselves as being state agents. So let’s begin by asking what we think the role of a child advocate should be. I’m not going to start with Marty’s admonition that we shouldn’t have child advocates at least for very young children and some others, because I think he’s lost that battle. But given the system that we have, what is the job of a child advocate? Well, I’m reluctant to walk away from Marty’s recommendation so quickly because in many ways the great problem in child welfare is that people who influence policy in this country and to some extent the general public are in this terrible position of, of course, loving all children, including the children of the poor, but hating and blaming their parents. And the impossibility of helping children outside of families creates a situation such that I hope we’ll talk seriously about this idea of family representation as opposed to child representation. 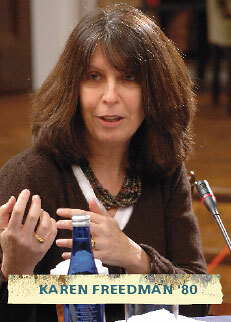 Karen Freedman ’80, Founder and Executive Director, Lawyers For Children, New York. LFC provides free legal and social-work advocacy to children in foster care and addresses systemic changes in child welfare policy: I would be thrown out of my office if I didn’t at least attempt to answer Jane’s question. If I can’t answer it perfectly, it’s only because I have spent a lot of time reading Marty’s work and he does an excellent job of revealing the complexity inherent in the role of a child advocate. But for me and for the people in my office, the most important thing about being a child advocate is keeping ourselves honest about what our role is. First and foremost, every attorney in our office is a lawyer and their job is to represent their clients’ legal interests. The presumption is that we’re going to be able to relate to our clients the same way any attorney relates to their clients. We’re going to counsel them, explain what the law is that affects their lives, and gain their participation in the case. We don’t see ourselves as adversaries of the parent or the system that’s placing children in care. We see ourselves as lawyers for our clients. Now it gets more complicated because we represent children from newborns up through age 21. So the hard question is, when is the presumption overcome that you can treat your client the same way any attorney treats their client? It is overcome in the most obvious instance when you’re representing a nonverbal client. At that point, however, the attorney for the child cannot default to their personal instincts about what feels good or right for a client. When an attorney for a child is unable to ascertain that child’s position, the attorney must substitute judgment in a carefully considered, well-investigated, evidentiary-based way and present that client’s legal position to the court. It’s critical that there be an independent expert working with the lawyer, someone trained in child development, who can help the attorney determine what the client’s legal interests are in the context of the case. There is no question that lawyers are not trained to make some of the judgments that they’re asked to make on behalf of very young children. That’s why there’s a social worker and an attorney on every single case in our office. 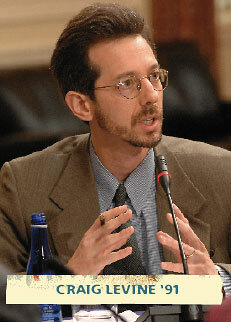 Craig Levine ’91, Senior Counsel and Policy Director, New Jersey Institute for Social Justice, a research and advocacy organization that, among other work, seeks improvement of the state’s juvenile-justice and child-welfare systems: I was particularly taken by Marty’s notion that counsel for children ought not to attach unless and until there’s a finding of parental unfitness. His idea that the presence of three attorneys as opposed to two from the very outset of these cases goes a long way toward undermining the presumption of fitness with which all parents should enter the courtroom is thought-provoking. It left me wondering how this idea might inform the mode of lawyering for children, even if the political reality is that Marty’s recommendation is not going to be adopted anytime soon. Spinak: Kevin—you’ve been on both sides—do you see the role of the child advocate as Marty’s described it? Kevin Ryan (LL .M. 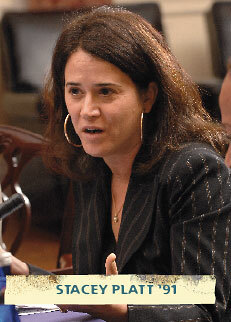 ’00), Commissioner, New Jersey Department of Children and Families. Formerly the state’s first child advocate and a legal advocate for homeless youth at Covenant House: It’s striking that we have focused so quickly on the Child Protection System. What is most resonant for me in Marty’s writing is how often the modern child-welfare system in the United States masquerades for political will with respect to the type of investments and supports that we would need in order to achieve the outcomes that we hope to secure for children. In too many places, system reform has been mobilized by tragic anecdote, not by our ambition for strong families. If we were serious about the latter, we’d be talking about across-the-country universal healthcare, expansions in the Earned Income Tax Credit, childcare accessibility, work supports. We would fundamentally rethink the public welfare system. I don’t want to succumb to talking about child advocacy as only being about working within the four walls of the modern child protection system. Can I challenge us to think about whether the status quo is sufficient? Marty’s rallying cry— that it’s not—is right. When it comes to building stronger families and preventing abuse and neglect, modern child welfare is the opiate of the people and can lead us to think that we’re achieving some great due process for children. Abigail Trillin ’95, Managing Attorney, Legal Services for Children, San Francisco, representing children and youth in dependency, guardianship, school discipline, immigration and other juvenile law issues: I found myself feeling in complete agreement with Marty with the principles and what we need to do in terms of the greater investment in children. But I also found myself thinking about my clients. I wish I was working with a family that was working actively to reunite or to not have their children removed. But my clients are mostly teenagers. Many have not had biological parents in their life for longer than I’ve had the case in the 10 years that I’ve been there. So I’m struggling with what my role is for those individual clients and I think that it is being their lawyer, treating them respectfully as I would any client, and making sure that they have some voice and some ability to control the situation. As much as I agree with Marty in terms of the overall political implications of having attorneys for children, I also know that my clients need somebody to represent them, and to make them feel like they have an independent and individual interest in what happens to them that is being respected and fought for. I also consider one of my primary roles as protecting my children and my clients from the state, from the foster-care system, and holding that system accountable to them to provide them with the few things that it can. 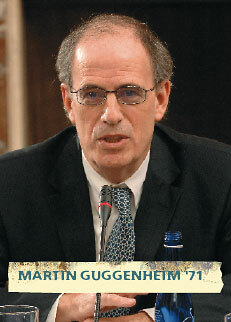 Martin Guggenheim ’71, Fiorello LaGuardia Professor of Clinical Law, NYU School of Law. Founded and teaches the Family Defense Clinic, which represents parents and other adult relatives of children in foster care in New York City: I’m very comfortable, Abigail, insisting upon lawyers for children when they are in the state’s care because I am largely anti-state. Your clients deserve lawyers, to be sure. But that’s because they have already lost their birthright to have their parents choose their representative. Spinak: By doing individual advocacy and being deep into the child-welfare, special-education or juvenile-justice systems, do we lose sight of the broader societal questions that Kevin raises? Does our individual advocacy have an impact on our ability to look more broadly at the way our society works and diminish our capacity to be child advocates in a broader sense? Child advocates of children who are parts of families who are not getting what they deserve, what they should have, but also, who are parts of families of color and poor families? Gail Smith ’85, Founder and Executive Director, Chicago Legal Advocacy for Incarcerated Mothers, providing legal and educational services to maintain the bond between imprisoned mothers and their children: Where were the lawyers for Abigail’s clients when they were losing their parents? In Illinois, 85 percent of the foster care cases, more or less, are neglect and pretty much mild neglect. 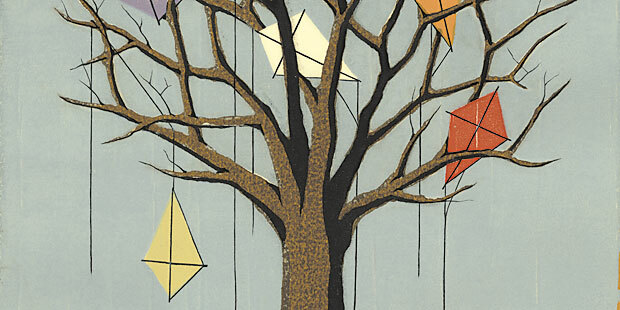 The return of children to families is at about 28 percent. In the cases that we see, I would argue that really good advocacy for individual children wouldn’t mean that 72 percent of all children in foster care lose their parents. It seems to me that many child advocates have lost sight of the long-term results for their clients when we have the phenomenon of so many children aging out of foster care. So as we’re seeing children whose adoptions have failed, children whose adoptive parents have died because they were so elderly, children who have aged out of the system who are searching for their parents, children who go home when they’re not legally supposed to, what we need is a movement, we need a change in political will. Levine: It’s impossible to consider our roles as children’s advocates without considering the political and reputational, almost cultural, incentives and disincentives at work here. We talk about the need for a movement or a different narrative. The violence of family dissolution is a much quieter violence and does not make the front page of the New York Post. It strikes me that all the actors in these systems share the blame here. I’ve never seen a child-welfare system issue a press release saying, ‘We preserved or reunified X families last year.’ Every year, there’s a spate of stories like that regarding adoption, as well there should be. But half the story gets omitted from the public discussion. And because of the political risks, I hypothesize that many judges are part of this, that there’s a powerful, unconscious fear of finding themselves in Rupert Murdoch’s crosshairs. Spinak: Both Marty and I have used Peggy’s early work about judges being risk averse and not feeling the urgency of what’s happening to these children and families but rather taking the “safer course” [see below] in their decisions to remove children from their parents rather than recognize the trauma of removal itself. The New York Court of Appeals has recently rejected the “safer course” doctrine in Nicholson. Karen said her job is to represent the legal interests of her clients in court. How does Nicholson’s rejection of the “safer course” doctrine affect how lawyers for children represent their client’s legal interests? Freedman: How it matters is borne out by the statistics. If you look at what happened following the Nixzmary Brown case, the numbers of reported incidents of abuse went way up; the courts were flooded with cases, and yet the numbers of children in foster care did not rise over the past year the way they have in response to many other similar situations. Children and families in crisis were offered supervision and services and children in care continued to be returned home. That’s a unique situation in the history of New York child welfare. When the courts, ACS, and family and child advocates adhere to the law and the evidence, we can keep the numbers of children in care down, without risking their safety. 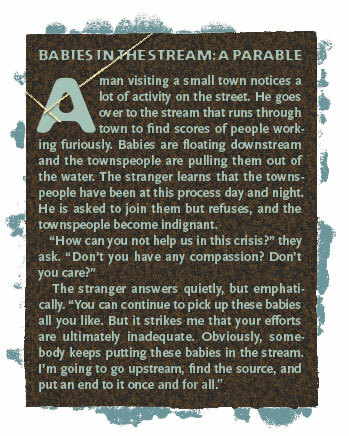 One of the things that Marty’s babies-in-the-stream parable makes us think about as child advocates is that we can’t just be the ones pulling the kids out of the stream. Yet somebody still needs to stand there and try to keep them from drowning. I don’t feel any shame in doing that as long as I am mindful of the fact that I have to go up to the top of the stream as well. That is why I think that the most effective impact litigation comes from a collaboration between child advocates who are working on a daily basis representing individual clients and policy directed organizations like Children’s Rights, or the Juvenile Rights Division’s Special Litigation Unit, with whom we have worked on class-action cases like Nicholson. Now, under Marty’s theory, we had no business in the Nicholson case. Yet the fact that child advocates were also arguing the injustice of taking children from a mother who was a victim of domestic violence made a difference in that case. The children, after all, are the ones who are being taken into state custody. In the same way that Marty feels they need an advocate if they’re being incarcerated by the state, I am absolutely convinced they need an advocate if they’re being taken into what’s called protective custody by the state. So I have a hard time when the bottom line is that it’s the child advocates who are aiding the state in a process that all of us who try to be honest about our work find offensive. Guggenheim: It’s nice to say that children’s lawyers need also to go upstream. But they can’t. They are mired in the muck. That’s not a criticism of the lawyers. It’s the reality of where they are obliged to turn their attention—to the courtroom and the details of their clients’ individual cases. But this virtually exclusive focus on individual cases comes at a huge cost—the loss of an entire generation of caring professionals who get trapped into doing work into which the state wants to trap them. Moreover, Karen, the real picture of children’s lawyers’ performance in regards to Nicholson is considerably less rosy than you suggest. Children’s lawyers were silent through the 40 years of the pre-Nicholson behavior. I’ve never said that children’s lawyers had no business in Nicholson. It remains the case, however, that they defended and supported the removal of children from parents on a routine basis. There never was an appeal prosecuted by a child’s lawyer for a wrongful removal. When the Nicholson case got to federal court, for the first time, the children’s bar was freed to take a position outside of the constraints of what happens in Family Court, where if you don’t support the agency, your reputation and ability to be a forceful advocate is adversely affected. Freedman: I have to take issue with that, because the fact that someone else originated an action in federal court does not mean that in Family Court there weren’t hundreds of cases where law guardians were arguing against the agency in favor of individual children going back to a mother or a father who was a victim of domestic violence and posed no risk of harm to the child. That was going on all the time. And there most certainly were appeals prosecuted on behalf of children wrongfully removed. Ryan: To Karen’s point that in the stream parable, we need to pick the babies out of the water and still retain the capacity to work upstream to prevent child abuse or neglect. The federal government has made this very hard. 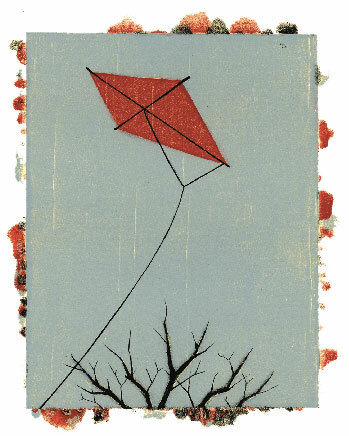 The country invests disproportionately to subsidize two types of activities in the modern child-welfare system: the removal of very poor children from their families, and, through a bonus system, achievement of permanence through adoption—not in family preservation, not in family reunification and family support work, but through adoption. Each year, our law schools and social-work schools are graduating thousands of committed, genuine people who want to make a difference in the world. And where are they going? They’re going downstream because that’s where the money, processes and infrastructure live. The challenge is to build an infrastructure, a scaffolding if you will, that gives people meaningful opportunities to fight the causes of child abuse and neglect upstream. For the most part, we don’t have that today. Guggenheim: This diversion of resources is the most pernicious feature of our child-rescue focus that law schools in particular have taken very seriously. Not only do most law schools that have a clinical program in child welfare choose to represent the children, but schools have celebrated programs for graduating children’s lawyers. These lawyers, almost to a person, care deeply about the inequalities in American society. But we’ve lost them to the work that they’re now obliged to do, as Kevin just explained. Davis: I want to start by just saying how much I admire Lawyers for Children and Karen’s work. That should not go without saying. Freedman: Now my defenses should be up. Davis: No, they shouldn’t. Just a few things: First, there are very strong cognitive biases against doing what we all agree is the right thing in Family Court. We respond more strongly to risks associated with leaving children in their homes than we do to risks associated with separating children from their families. So on that account, I worry that it’s not enough for the Court of Appeals to say that “safer course” is not the answer. I worry about it in another respect. One of the things that was so uncomfortable for me as a Family Court judge was how lawless the place is. Part of it is that so much is resolved in conferences among the lawyers and the judge. So much is settled. So much is about, as I recall hearing in the midst of a very difficult case, making everybody comfortable. 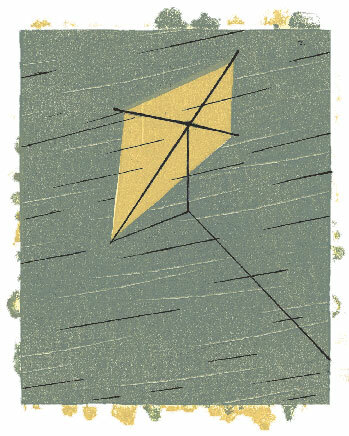 But even when things are litigated, the dominant ethos in that court was that social workers, lawyers, judges felt that what they really needed to do was what they thought was right for this child, and if the law got in the way to fudge it. I can’t think of a context in which law mattered less in my career. The third thing is resources. Parents are pathetically represented. People barely conscious were standing before me representing parents. So at minimum, we need to find a way to put some resources behind the representation of families. Freedman: The question of lawlessness in the Family Court is a critical issue. In Marty’s article, he suggested that the outcome In the Matter of Jennifer G. might have been different if the law guardian’s position had simply been articulated differently. He suggested that the law guardian should have said that there was insufficient risk of any danger to the children to warrant their removal. I would argue that’s not the right formulation because there’s a critical lawyering element missing. What the attorney should have said was that there was insufficient evidence of risk to warrant removal. And if the lawyers in Family Court can keep to the law and talk about the weight of the evidence in support of keeping a child in their home or having them removed, we’re going to have a much better system than we have now. But we have to keep reminding ourselves, whether we are attorneys for the parents or for the children, that this is an evidence- based system. This is a legal system. Trillin: I’m wondering if there isn’t a role for individual children’s lawyers in exactly the type of change that we’re all advocating. My voice as the children’s advocate talking about family preservation and family reunification is different. It’s seen differently by the court than the parents’ attorney. And I don’t think we necessarily would have the same result, even if my not being there would give the parents’ attorney a few extra dollars an hour. It’s different for me to bring forward the individual right of the child to be in their family, and if they can’t be with their parents, then to be with relatives and to be in a situation that’s more likely to return them to their family. To be able to talk about that either from the perspective of my client’s stated interest—as with my older clients—or with very young clients trying not to substitute judgment but to base their legal interest on basic objective principles, such as their right to be with their family, individual attorneys for children can play a forceful role in individual cases in keeping families together. Ryan: Marty’s idea of having fitness hearings early in the course of a case to determine whether or not parents can continue to speak on behalf of their children is a good one. Frankly, it would reflect what’s normative in modern child welfare, which is that the majority of children in out-of-home placement return home to their families and many are in out-of-home placement for reasons other than serious abuse. Spinak: Family Court has been given greater responsibility for monitoring the child-welfare system. And one of the end results is we don’t get to fitness hearings quickly because the court is overwhelmed with its monitoring responsibilities. It takes five and a half months on average in Brooklyn right now to reach fact-finding in a child protection case, when it should be no more than 30 days. So what does it mean that we are all kind of complicit in thinking this is okay? I mean the lack of urgency, the sense that this is the way it works, accepting both on a federal and state level that the resources are going to go for placement and adoption and not for family preservation. Levine: On grounds of both principle and pragmatism, lawyering should be improved across the board. You get better, more just results if all parties have excellent representation. As a lawyer for children or the state, this might be a bit of a pain. But your client is better served. As we all know, children’s lawyers have the juice, politically and culturally. I wonder if there might be a project we could come together around—the bar, the bench, academia, and all who can claim the societal mantle of child advocate— toward the end of equalizing the resources available to counsel for all parties. The current disparities here are staggering. As Marty has reported, a couple of years ago New York City spent about $24 million on lawyers for children, and about $11 million for lawyers for parents, including experts’ fees. That’s not a fair fight in individual cases. And parents’ lawyers cannot solve this. They’re the only people on earth with less political juice than criminal defense lawyers. And they’re in a much more vulnerable position. Winning their cases can put parents’ lawyers at risk reputationally. Stacey Platt ’91, Clinical Professor of Law and Associate Director, Loyola University Chicago School of Law’s Child and Family Law Clinic. Former staff attorney at the Legal Assistance Foundation of Chicago: In addition to equalizing representation, which is critically important, we also need to reclaim some of the rhetoric around children and families. In Chicago, there is a dedicated office that represents parents in child-protection disputes. They’re not blamed when they win their cases, but they aren’t considered the noble civil rights workers they are. Parent representation is not the glamorous job that law students and young lawyers pursue. If we can help young lawyers understand that termination of parental rights is, as other advocates have said, a death penalty for families, and that children in the system are suffering, that will help in the struggle for family defense. Having a dedicated office in and of itself is not enough. Spinak: Let’s expand beyond law school to the role of the socialwork schools, too, because we’re turning out generations not only of lawyers, but of social workers. How does the social-work profession embrace this idea that children are part of families and that we should be worried about families? 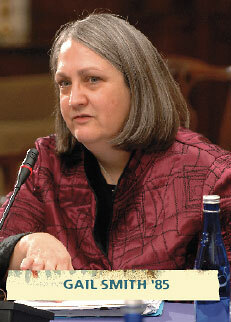 Alma Carten, Associate Professor of Social Work, NYU School of Social Work. Teaches Social Welfare Policy. Former director of the Office of Adolescent Services for the NYC Human Resources Administration and interim commissioner of the Child Welfare Administration: Marty outlines very well that from the very earliest years in our history of child-welfare services, we’ve focused on rescuing children and punishing families. We are moving away from this now. For example, policy reforms like the Adoptions Asistance and Child Welfare Reform Act of 1980, and the 1996 Adoptions and Safe Families Act recognize that children need stable permanent attachments to families. These laws encourage the use of family-support services to preserve biological families, prevent out-of-home placement of children in the first instance, support early reunification of children for whom placement was necessary, and speedy adoption of those for whom return to their own homes is not an option. Ryan: There’s an interesting disconnect emerging in the United States between the operations of the best-functioning childwelfare systems and the legal processes that monitor families when children are placed in foster care. The positive outcomes for children and families that have been achieved in places like Alabama and Utah have increasingly occurred through the work of family teams, where from the outset of the engagement the public agencies are working with families collaboratively. It is almost always safe and appropriate to do so. If this becomes more common, as I hope it will in the next few years, public systems will be embracing and implementing a socialwork process of engagement, collaboration and teamwork with families and their natural supports. But we will have a legal process of adversity. That disconnect is bound to cause some problems for the social work, which is the heart of the exercise. And we will have to rethink aspects of the legal process in short order. Carten: Social work has a long tradition of interdisciplinary collaboration. We often practice in host settings, working in partnership with teachers, physicians and attorneys. And we have had a strong tradition of advocacy for clients, social justice, and improving the operations of systems that serve as barriers to client access to services. We at the schools of social work may need to reinforce this tradition; since about 1980 there has been a growing preference in the profession for clinical social work which has diminished our presence in those areas of practice that focus on client advocacy, system change and reforms. I’m doing a program now with immigrant families. I’ve been very cautious that the status of immigration does not pathologize parental behavior. We in schools of social work may need to work harder in educating the new generation of professionals about the important role of activism in working with families in need of child-welfare services. Davis: I can’t resist tying a couple of things together around the idea of rhetoric because you’ve made such a profound point: You talk about immigration as a pathologizing label. You talk about the absence of a story that resonates with respect for families. And Karen made the beautiful point that the very rhetoric in theFamily Court needs to reflect that it’s a court of law. So if you yourself not talking about evidence but talking about feeling, then you need to change your behavior and pay attention to the story of why we have constitutional protection of family independence and integrity. It’s a deep story. For me, it’s a story that goes back to Reconstruction and reflection on why the absence of family was what made slavery possible, and why that was connected to civil death and connected to the idea of socialization by the state—and so a very authoritarian vision of the state. The message that at the heart of our democracy is the idea that children will be socialized by families rather than by the state is a message that’s very hard to communicate. But to tap some of the richness of that message may offset some of the juice imbalance that we’ve been talking about. Spinak: What is the difference between the role of the child protective system in engaging families in a way that may allow them to remain whole and get what they need to remain whole, and the steps that take them into court? We should not be less adversarial in court for purposes of determining whether the state should intervene. How do we distinguish between problemsolving methods before cases come to court and those methods once the court intervenes? Platt: One concern about the influx of nonadversarial processes into child-welfare cases is the way in which lawyers coopt those processes, particularly lawyers who are not trained to conduct or manage them in a way that genuinely respects families. Cross-training is wonderful. But we should not be blurring roles to the extent that the entire process becomes nonadversarial, where everyone has a nice discussion and due process concerns take a back seat. Because then we have lawyers performing functions that we are not trained to perform and families not being empowered in the ways those processes were intended to empower them. Ryan: I question how empowering these processes are for families. There are real questions about the need for and the efficacy of independent attorneys for children when their families are deemed fit enough to meaningfully participate in a service plan designed to achieve safe and sustained reunification and are working to achieve that plan. But then when the forum is the court, the parent is in most systems deemed not fit to speak on behalf of their child. The dissonance there is a puzzle. Guggenheim: Jane started us off this morning trying to take us away from too-high theory to being on the ground. But the answers about how to be a good lawyer on the ground are themselves theoretical because Karen’s answer is one that I love and would be thrilled to see invoked. But heads would roll if children’s lawyers aggressively argued for dismissal of cases when the evidence wasn’t sufficient. If they wouldn’t roll, children’s lawyers would rather quickly feel their loss of influence on the court process. But it would be a truly wonderful change to contemplate. I might even start smiling. So one answer to the question, “What should children’s lawyers be doing?” is, as Karen says, basing arguments on the evidence presented instead of assuming that there likely are worse facts than have been thus far gathered. It remains the sad truth that the children’s bar has been complicit with the two great trends in child welfare over the past generation: the ease with which children enter foster care and the vast increase in the permanent destruction of parent-child relationships. The children’s bar’s complicity has been revealed by its silence. There is no lobby of children’s lawyers criticizing these trends. Not within the legal arena. Not in the legislative process. Not even in public discussion on these issues. Freedman: There really isn’t all that much disagreement around this table. But a lot depends on how we frame the issues. When Kevin was talking about parental fitness to speak for a child, it brings me back to something that Marty taught me in his class that has stayed with me throughout the years. The worst things happen to children when people sit around a table just talking about what’s best for them. Whenever lawyers lose sight of legal parameters and bring that generalized best interests rhetoric into the courtroom, we’re courting disaster. It’s wonderful that we’re using more of a collaborative model and more family-based supports outside of the courthouse. That’s where it should be. That’s why it’s a good thing that now, for the first time, there are more families and children receiving preventive services in New York City than there are children in foster care. But to say that a child’s attorney, articulating the child’s position, somehow denigrates the parent’s right to speak for that child is a false premise. Everyone who walks into the Family Court is invoking the child and what’s best for the child to advance their own position. For the judicial system to work, once you’re in the courthouse, you’ve got to invoke due process. The child’s position needs to be out there and it can be represented most effectively by an attorney for the child. Smith: This brings me to two thoughts. One is that even when our public-guardian system in Chicago is properly critical of foster-care agencies, they’re so deeply anti-parent coming into the courtroom that it creates an imbalance. And some judges are almost rubber stamps for some of those guardian ad litem positions. I’m thinking also about the expansion of the use of guardians ad litem outside the childwelfare system into the Probate Court and domestic-relations courts. I’ve never seen a probate judge not take a recommendation by a child’s lawyer. A lot of attorneys appointed to represent children in Chicago’s Probate Division are volunteer lawyers. 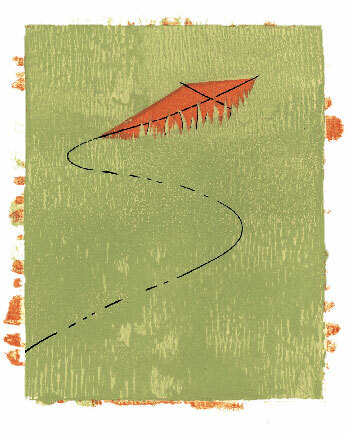 If you look at the Chicago Volunteer Legal Services Web site’s training for those lawyers, one of the things that it says is follow your instincts. Use common sense. It’s as fuzzy as it can get. I don’t see a lot of cultural-competency training coming out of that office. It’s very hard for those of us who are trying to follow the law, and certainly for those of us who are trying to overcome some pretty strong biases against our clients on the front end, to protect not only our clients’ rights but also the rights that their children should have to continue their relationship with them. Spinak: One of the things that we haven’t talked about is child participation. A lot of the system would have worked differently had children been participating much more. Judges could not have gotten away with some of what they got away with if the child were actually sitting there listening to this dysfunctional system going on. How do you think that might help to improve the way in which this court works? Platt: I’ve noticed that our child clients are often greeted with distance, at times even hostility, when they show up at the courthouse. Nobody really wants them there, in particular when they take positions that are unpopular, or that other people believe are not in their best interests. At times, we have had to push ourselves into the courtroom with our clients. But when we get them in there, they make a big difference. I’m very much in favor, if they want to be there, of young people participating more fully in their cases, holding the court system and the advocacy system more accountable to their wishes and their conceptions of their own best interests. Trillin: Having the young people and also the parents in the courtroom does raise the level of practice. It reduces that informality in people who work together every day talking about these cases as if they’re not about real people. I wouldn’t say that the young people are unwelcome. One time that they’re very welcome and everyone is really nice to them is at their emancipation hearing. One of our judges actually gives them gift cards to one of the music stores. After all these years of them being unheard in the system, when they show up to leave the system, they get a gift card. So we need to do a lot better than that in terms of involving them and making it actually meaningful for them. Many times my clients choose not to come to court after talking to me because for many of them so little is happening in their cases in court that it is deeply disappointing to them because it doesn’t change what’s happening in their lives. Guggenheim: Children should be in court, not at the fitness hearing, but at almost all proceedings afterwards. One of the sad truths about child representation, sad particularly for the lawyers representing the children, is the frequency with which foster children say, I never even knew I had a lawyer. Freedman: I totally agree. Young people need to be in the courtroom. That’s part of what makes it a real judicial process. And that’s why many people are afraid of having young people in court—because when the child has the same right to be present in court as any other party, it reinforces the premise that the family court is first and foremost a court of law. The New York State Bar is currently rewriting the standards for representation of children. One revision proposes that we get rid of the title “law guardian,” which does a disservice to the practice and also perpetuates the idea that if you’re representing a child, you’re something less than a real attorney. This can only help move us toward the goal of creating a legal system for families and children that allows us to function the way we were trained to function in law school—as lawyers. The outcomes will be better for children and for families. Carten: If we want to empower parents, it’s a good thing for children and parents to be present. There are some parents and children who are very articulate and able to negotiate well in this system. On the other hand, the larger universe of parents coming before the system may not be well informed about court procedure or familiar with legal language. Most of the principals bear little resemblance to them. So it may be a good thought that they’re there in court, but it can be intimidating to them. Guggenheim: Well, if we invite them in, we have to make it friendly. But a reason they need to be there is to correct the countless inaccurate facts which are routinely reported in cases. It is astonishing how commonly reports about children get even the most basic facts wrong: They’re in a home for six months. No, they’ve been there for three. They like the school they’re in. No, they haven’t registered. They’ve just been to the dentist. No, they haven’t. At a minimum, children’s presence at hearings will make it more likely that we will get the facts straight. Carten: Perhaps this means that we should strive to have closer communication with staff or social workers who may have that information. The push for me is to have more collaboration with lawyers because social workers are in a much better position of assessing risk. They’re looking at a broader picture. They’re looking at environments and systems within which families operate. There needs to be a closer relationship—the court atmosphere is so rushed that there’s not enough time for social workers and lawyers to collaborate. Freedman: I would like to throw out one more possibility for how we could raise the standard of practice in family courts, at least in New York City. One of the things that’s always been shocking to me is the idea that a Family Court judge should be appointed for a 10-year term. Ten years is an unbelievable amount of time, especially in the life of a child. It has a lot to do with why judges—many, not all—become very complacent in their role, why they see time frames differently. There is really no reason why, if a judge had a five-year term of appointment, they couldn’t then be reappointed if they were doing their job properly. But the fact of the matter is, it would give us an opportunity to be mindful that we have a court of law where everyone is accountable, the judges, too. When a judge is on the bench for 10 years, if their courtroom happens to be the courtroom where the rule of law doesn’t apply, there is virtually nothing that is done about that. Davis: My anxiety is that the judges who are operating on a due process model are those who will not be reappointed. Judicial independence is a necessary counterweight to the sense of vulnerability that you have and the sense of danger that attaches to the idea of returning children to their families. Spinak: If we think about the way in which our system finances what we’re willing to pay for and what we’re not willing to pay for in addition to what we think about families, particularly poor families and families of color—what do we do up at the beginning where the babies are going in? Davis: I’m drawn to this idea of going even further upstream. My daughter and I have done some work with the Baby College in the Harlem Children’s Zone, which works primarily with families that are not yet involved in the child-welfare system. There’s an interesting role for lawyers there because they are families very much at risk of being investigated. The idea of giving them support in caring for their children before there ever is a problem is a wonderful one. The idea of giving them some tools for fending off intervention is a promising one and another place where people might work to relieve some of this imbalance of resources. Ryan: For lawyers, perhaps the way into the problem is to think about how the Constitution approaches these questions. 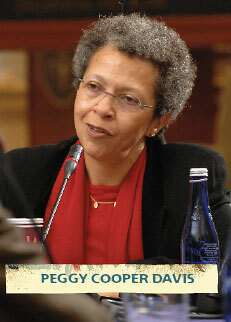 Peggy’s book [Neglected Stories (Hill and Wang, 1997)] demonstrates the centrality of family integrity to the Fourteenth Amendment. For social workers, the way in might be to think about how positive family outcomes are achieved for and with those families. And it’s almost always by working together in a family-centered fashion. Could we take the resources that exist now in individual representation for children and families and augment them with an equal commitment to tackle the public-policy questions about family preservation, reunification, and public investments for families? And then maybe, over time, we’ll create some equilibrium between the downstream and the upstream investments. As long as we insist that suspected child abuse and neglect be a prerequisite to aid hundreds of thousands of children and their families, we’ll keep living downstream and the babies will keep drowning. Real system change is probably going to take a [political scientist Frances Fox] Piven and [sociologist Richard] Cloward poor people’s movement. To change the way we make these investments— in health care, income security, childcare—we will need to see a mobilization and an uprising among poor and politically disenfranchised families that today is so elusive. Spinak: But we’ll also need to use good social science to support this movement. It is really striking to read David Fanshel [child welfare expert and author of, among many works, Children in Foster Care: A Longitudinal Investigation (1978), and coauthor of How They Fared in Adoption (1971)] from 35 years ago when he says the one thing we know is the more visiting that children have with their parents, the more likely it is they’re going to go home. And yet we still don’t create social-welfare systems that support the relationships of children and parents. Levine: We need a subtler and more nuanced political narrative. American issues tend to be framed in such Manichean fashion: You’re on the side of the angels or you’re the devil. This manifests in this “Who speaks for the child?” question with which we started. But it strikes me that we need a vigorous acknowledgment that deeply imperfect and messy families are worthy of celebration and support—and that in the majority of cases, they’re the best possible option available to the children. But we’re in this box that politics and the allocation of resources has put us in, in which parents’ lawyers are forced, in reality if not doctrinally, to meet an impossible standard—that a family needs to be perfect— to warrant reunification. We need to acknowledge that although many families are troubled and complicated, they remain, in most cases, deserving of our respect and support. Carten: I feel optimistic about the way the system is moving. It’s focused on outcomes. It’s focused on accountability. It’s focused on prevention. It’s focused on permanency. The child-welfare system has been an American tragedy for so many years. But we’re moving in a positive direction. Guggenheim: I’m an optimist only in the sense that I am, as a student of history, aware of cycles. We are near the end of the darkest period in the last 40 years in child welfare and my only optimism is that we will rebound from it. We will someday look back on this time as a very sorry experiment. We live in a country that leads the world in the forcible breakup of families by court order. It is a thing we still celebrate. Yet it is to our shame. At the same time, I do see in the children’s bar today a vigor and an excitement for speaking beyond individual cases and talking about social justice. So I’m happy to end on that optimistic note. In re Jennifer G.: In 1984 and 1985, an appellate court twice reversed a trial judge for granting a mother’s requests for the return of her children. The children had been placed into foster care after a school principal notified authorities that they appeared to have been abused. On the first appeal, the appellate court declared that the “safer course” was to keep the children in foster care until a clear determination of abuse or neglect could be made. On the second appeal, the court removed the trial judge and the children’s lawyer, both of whom supported the return of the children, and specifically rebuked the children’s lawyer for the position he took. The “Safer Course” doctrine is a justification used to place a child in foster care pending the full fact-finding hearing on alleged abuse or neglect whenever there is reason to doubt that the child would be safe if permitted to remain at home. Nicholson: Parents whose children had been removed from their homes by the NYC Administration for Children’s Services (ACS) filed suit charging that the ACS as a matter of policy removed children from mothers who were victims of domestic violence solely because they “allowed” their children to witness the abuse. In 2004, the New York Court of Appeals ruled that these removals violated New York law and also criticized and rejected the “safer course” doctrine that lower courts had been applying to remove a child in the absence of evidence of imminent danger to the children. Seven-year-old Nixzmary Brown was brutally beaten to death in January 2006. Her stepfather and mother were charged with murder. 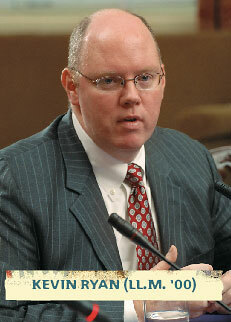 ACS had been called twice to investigate the family, beginning in May 2005. At the time of Nixzmary’s death, ACS had an open investigation on her case.